Relationships between Britain and France have always been sensitive but at the end of Victoria's reign, when they were worse than ever. Three years after her death the situation was completely reversed. On 8 April 1904, the Entente Cordiale was signed between the two countries. The text of the tntente was the work of two Foreign Secretaries - the Marquess of Lansdowne and Theophile Delcasse. It was no easy task, but it could hardly ever have been contemplated if Edward VII, on becoming King, had not won over public opinion in France through a combination of his own charm and immense eminence of his position as sovereign of the most powerful nation on earth. 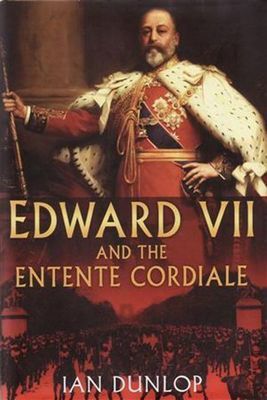 In this book, Ian Dunlop reveals how the cultural and social links established by Edward's personal diplomacy, made possible the fateful move towards alliance by Britain and France. He plays the Entente Cordiale in a wide context. He reviews the earlier attempts made by the young Queen Victoria and follows the ups - and more importantly the downs - of our relations with France against the broad background of the European situation. Edward himself plays, of course, the leading role. He has often been underestimated, but Ian Dunlop - quoting extensively from those who knew him best and were closest to the events - stresses the more positive side. There are some interesting reflections also on the true role of the Constitutional Monarchy that are not without relevance today.